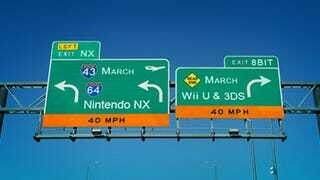 Nintendo has some time before the release of the NX next year. With the Wii U on it’s death bed and the 3DS getting long-in-the-tooth, they need a solid plan to keep fans engaged until that magical release date in March (unless it’s delayed). So for your consideration, I offer this up to Nintendo: A plan of action for the next six-ish months. Nintendo might have played their hand pretty early for the Wii U and it’s reaping the consequences now. I can count on half a hand the Nintendo first-party releases coming from now until March. Pokemon Sun and Moon. Paper Mario: Color Splash. Metroid Prime: Federation Force. I know that there are a few big indie and third party titles coming to both their systems (I’m looking at you Shantae), but those don’t fill calendar gaps like their big titles do. Nintendo has been on the defensive promoting Federation Force, with fans mass-disliking any attempt at promotion. In order to capitalize on the releases Nintendo should make sure that gamers know why they need to own these titles. You don’t have to tell me that’s gonna be a hard sell. Federation Force and Color Splash have had the ire of fans since their announcements. But with decent marketing and exposure they can be turned into decent sales. Incentivizing the YouTube gaming community to get involved with some Let’s Play videos or Twitch gaming could make all the difference. I’m not so much worried about Pokemon getting swept under the rug. It’s Pokemon’s 20th anniversary and there’s no way we’ll see the year end with a whimper. I’ve always wanted Nintendo to revisit some of their older titles with amiibo support. As much as DLC has been lamented in the past, I think that in some cases it’s required to make evergreen titles, of which Nintendo has quite a few, last that little bit longer before a new system arrives. Amiibo is a perfect kind of cross-game DLC that it’s time for Nintendo to tap into. We’re seeing them start with the addition of amiibo support this fall in Animal Crossing: New Leaf. Though Splatoon is supposed to be done DLC wise, I’d love to see them add apparel based on Nintendo franchises with the help of amiibo Scans. Adding this kind of compatibility to a few titles could refresh them for gamers and add some padding to the currently light release schedule. With so many amiibo available to both the 3DS and Wii U, implementing things as simple as skins and costumes could be an easy way to keep gamers interested in what Nintendo is doing. Outside amiibo we have traditional paid and free DLC, which Nintendo has been generous with up until the summer. Splatoon is already done and Smash Bros had it’s last major DLC release the beginning of this year. But there are still a few titles that could see some sprucing up. Mario Maker hasn’t seen an update since March, and I’m sure there are plenty of ideas that could make it down the pipe this year. We also were teased for possible Mario Kart DLC, but nothing else has been said on that since the tweet by Nintendo UK’s official twitter account. It’s been nearly a year since Mario Kart 8 has seen DLC and the time is right to give gamers more. Kirby’s recent success with Planet Robobot makes him a prime candidate. I’d also love to see the Wii U leave with some love for it’s release title: NintendoLand. NintendoLand was a fun game that was full with decent content, but filling out those games with new scenarios, adding new games based on other franchises to the mix, and adding amiibo support (Sorry, I’m a broken record on that) would be a nice closing to the Wii U era. Theme Parks add expansions all the time, so why wouldn’t the wonderful world of NintendoLand do the same? Outfits are an easy way to bring gamers back to Nintendo’s newest flagship franchise. Image from TheBitBlock’s Make Believe series, by Josh Thomas in collaboration with artist Ellie H.
We know almost nothing about the NX, having been absent from E3. I’m not sure how much we’ll be learning about it in it’s eventual reveal (rumored to be as soon as next month). What we did get from E3 was a truckload of Zelda hype. The hype was thick from all corners of the internet, and Nintendo needs to reinvigorate it’s fans for it’s release. What better way than with a downloadable Wii U demo? The Breath of the Wild demo is a great way to give gamers a taste of what’s to come and they already have a demo ready thanks to E3. I haven’t read anything but love for the E3 demo, so why not let fans who don’t have access to Nintendo events have a chance. Theres so many easter eggs that it would keep Zelda fanatics engaged for a long time. The world available in just the demo seemed engaging and enormous. It’s a great way to make people feel like they have the game, get a handle on the mechanics, and really sell them on it’s release next year. The only issue I see with releasing the E3 demo is some hacker would somehow remove the time limit or break the game in a way that ruined the release next year for everyone (someone already tried allegedly stealing it). Maybe they’d need to tweak it and remove the parts they definitely don’t want gamers getting to (I’m looking at you ominous Ganon-Smoke-Monster over Hyrule Castle). That’s the perfect way to give the entire Wii U audience a taste of whats to come and fans will be poring over the details available. I can only imagine the hype levels. Nintendo has been doing a decent job at filling the virtual console. Not great but I doubt that it’s where they allocate their resources. The eShop also has so many great DLC titles that many have missed. While we’ve seen a Humble Bundle or two there’s no reason why Nintendo and it’s indie partners couldn’t work together to get more attention to their past and future releases. We’re seeing the release of the great looking indie gem, Shantae: Half-Genie Heroe next month and that’s a great title to fill up gamer’s Fall libraries. Everyone was impressed by Shantae’s showing at E3 this year, but hype has quieted since then. They don’t need to refocus their efforts onto bringing the eShop to greatness, but there’s a bevy of classic titles still unreleased fans have been begging for. Using the virtual console and advertising big releases, like Shantae, would do a great job at stringing together bigger Nintendo releases. It’s been over a year since the passing of the late Satoru Iwata. He brought Nintendo into a new era and left a huge void for gamers, Nintendo fans or not, to fill. He was everything you could want in a gaming company president. Tatsumi Kimishima, the company’s president since September last year, isn’t Iwata. He’s Kimishima. A very different, but no less capable kind of president who hasn’t been front and center as far as being the face of Nintendo. Outside of quarterly meetings we barely hear about him but what I’ve seen quoted he seems passionate and intelligent. But that doesn’t make him the ‘face’ Nintendo needs. Even though Kimishima has impressed investors and gamers at their quarterly meetings, he hasn’t been seen much outside those. Nintendo needs to find a new face of the company that will engage it’s fan base and be excited about it’s new happenings. We lost a lot with the passing of Iwata, but hopefully they get back in the Nintendo Direct groove. Reggie is a great example of the type of personality that gamer fans engage with. Maybe they need to tap into a few charismatic developers and ask them to be the new face of Directs. Or maybe we aren’t getting as many Directs because there isn’t as much info to be released... If that’s the case then it can’t be helped. In September we’re gonna see one of the crucial times of the console release,the NX reveal. Building hype for the console there and in the six months up to release is key and they’ll do that by proving they have games lined up and showing what the console is capable of. Being Nintendo we know there’s gonna be a gimmick. Scott Moffit, now ex-VP of Sales and Marketing at Nintendo says they need to sell the gimmick “with clear positioning, and be able to explain it to costumers in a simple way”. They didn’t do it with the Wii U and they’ve learned their lesson. They need to drive home the point in the reveal and in the months after through events and marketing.